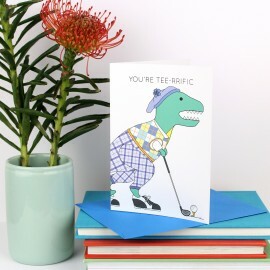 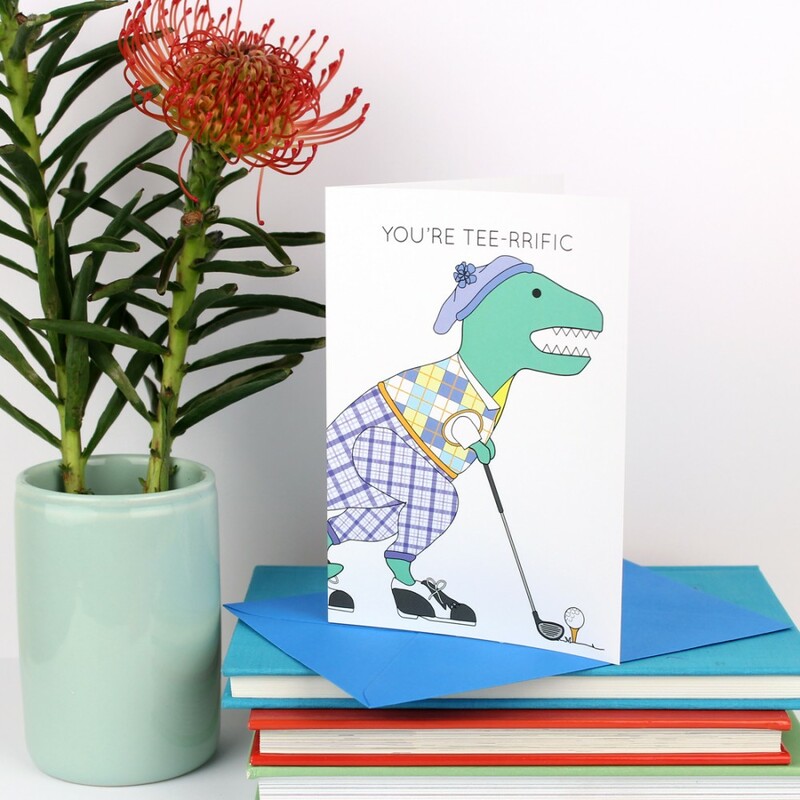 A funny dinosaur card for any golf lover. 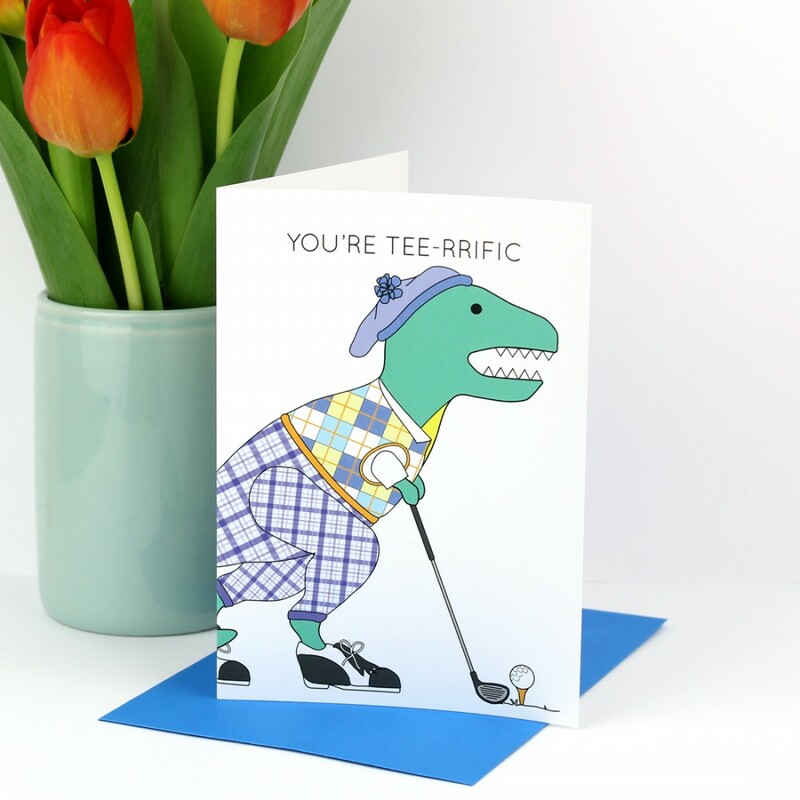 This card is perfect for any dinosaur or golf lover. 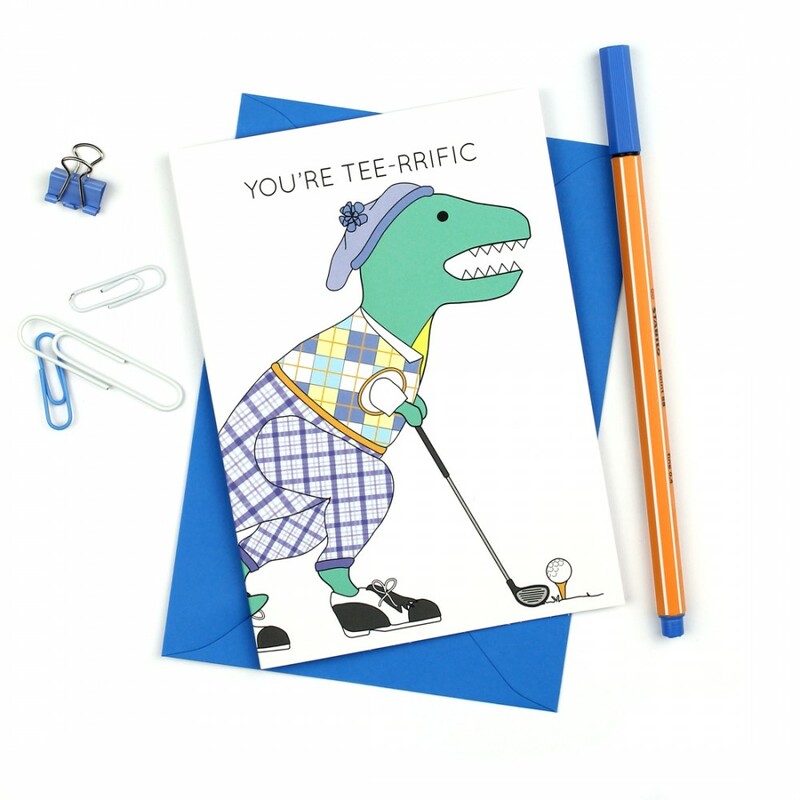 It would make a great Valentine's Day, Father's day card or a card just to say thank you. 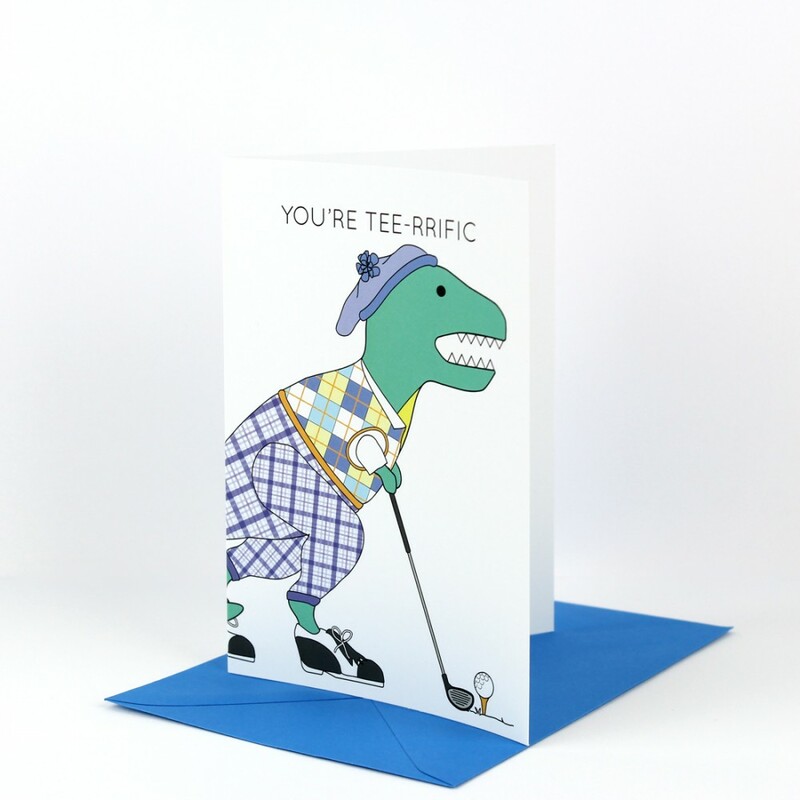 It features a T-Rex holding a golf club, dressed up in his golf clothes ready to tee off. The card also features the text YOU'RE TEE-RRIFIC above the dinosaur.